Washington, DC (CNN) Karen Pence is adding a little color to her life; the second lady returned to the classroom as an art teacher Tuesday. Pence will teach elementary art two days a week at Immanuel Christian School in northern Virginia, her office announced. She'll be known as "Mrs. Pence" to her students, not as the second lady of the United States, per her office. "I am excited to be back in the classroom and doing what I love to do, which is to teach art to elementary students," Pence said in a statement. 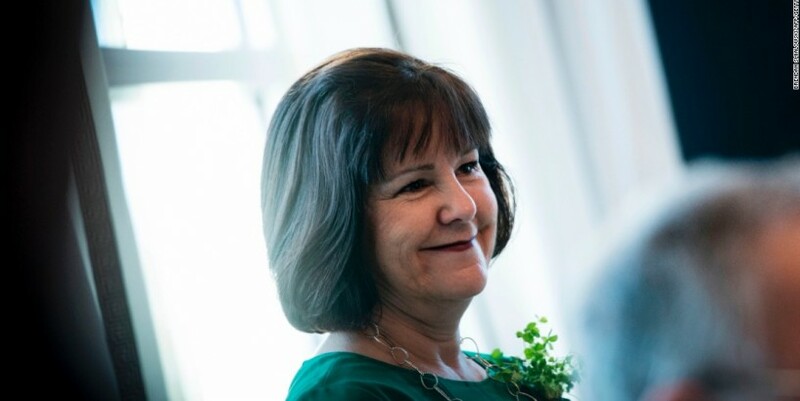 Karen Pence unveils her second lady platform "I have missed teaching art, and it's great to return to the school where I taught art for 12 years," she added. The second lady previously taught at the same school while her husband was serving in Congress, and has spent 25 years as an elementary school teacher overall. Read More She is also an artist herself, specializing in watercolors of homes and historical buildings. Her work most recently appeared in her daughter Charlotte's book, "Marlon Bundo's Day in the Life of the Vice President." Two sequels are expected to be published this year. Pence has also embraced art as her policy platform as second lady; she unveiled her "Art Therapy: Healing with the HeART" platform in 2017, seeking to shine a light on art therapy as a mental health profession through appearances across the US and abroad.